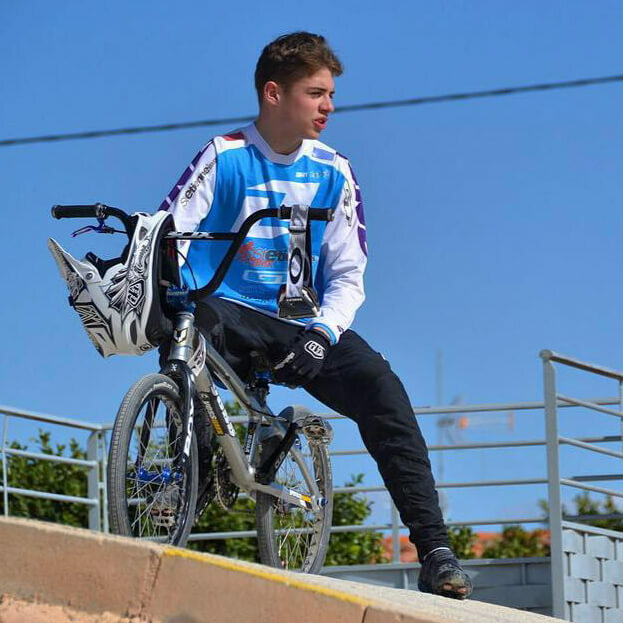 Home Town: From Bordeaux, but not live in St. Eitienne … for both school & BMX. How many years have you been racing? I started when I was 13 years old. Favourite place to ride / train? My home track, St. Etienne. Favourite event you have raced? Papendal for sure! Favourite event you have raced? 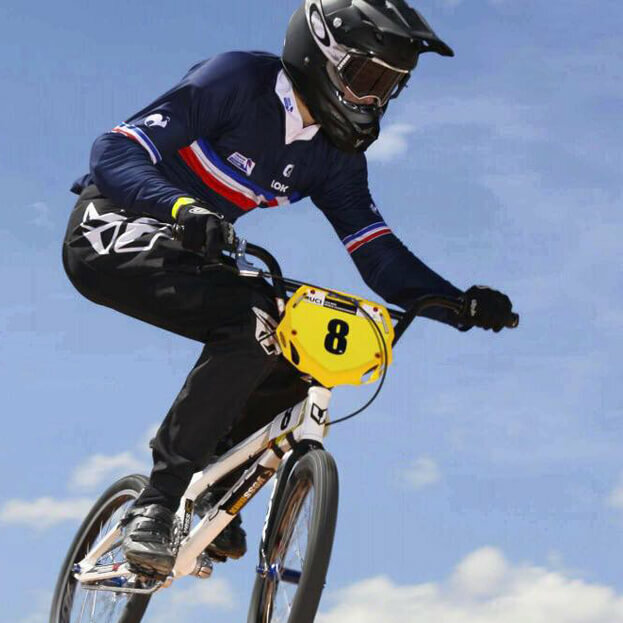 The Papendal World Cup and the French National Championships in 2017. Supercross or ‘traditional’ track? I prefer Supercross. How did the 2017 season go for you? The 2017 season didn’t go as well as I hoped … at the first French cup of the year, I crashed and broke my collarbone and needed surgery. But the season ended very good with a 4th place-ranking at the National champ in junior men. What are you plans / goals / hopes for the 2018 season? 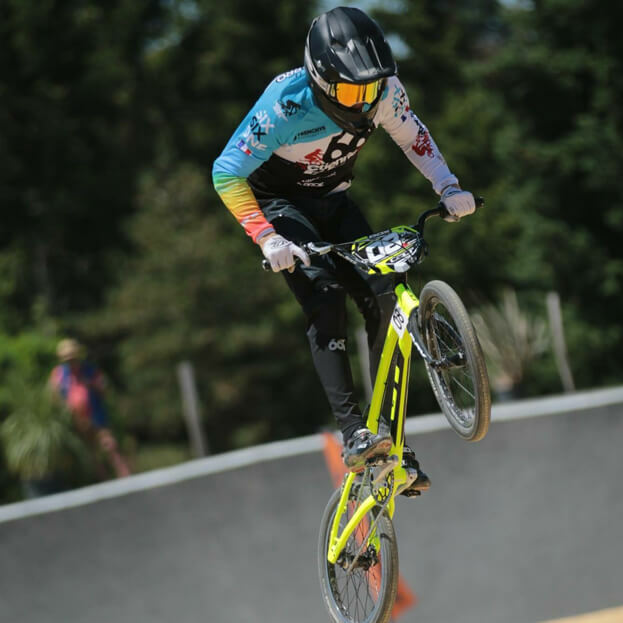 Enjoy spending good times on my Wiawis bike, and I want to win the National Champs and make finals at Euro and World Champs in Junior Men. 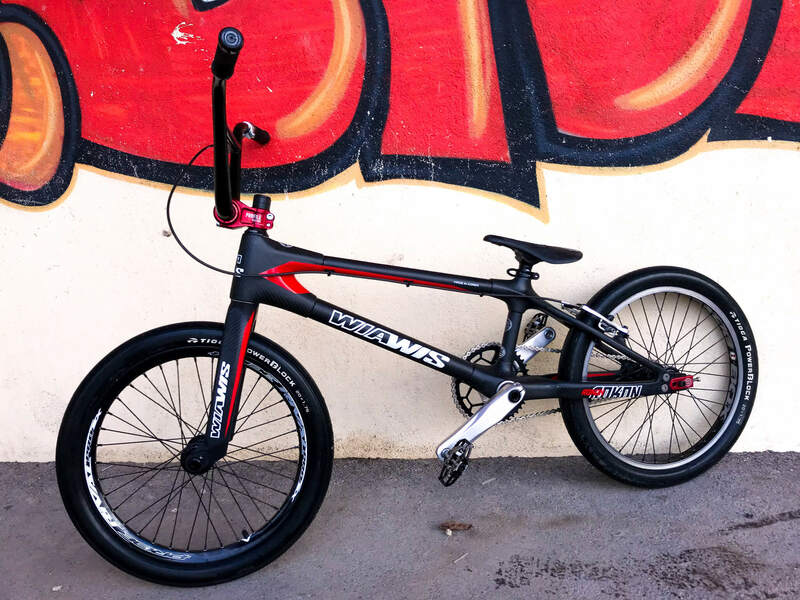 Long term BMX goals? Why not the Paris Olympics in 2024. What one thing would you do to improve the sport? 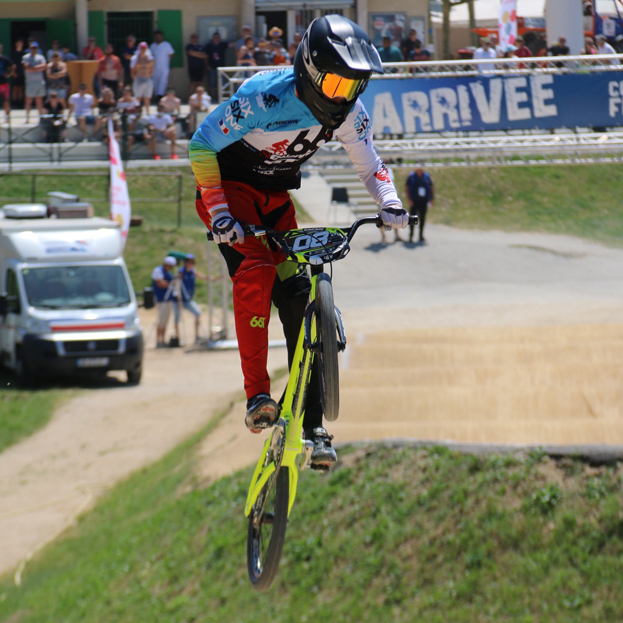 I want to see more BMX racing on the TV. What do you do when you’re not riding BMX? When I’m not training I spend my time with my friends and family.